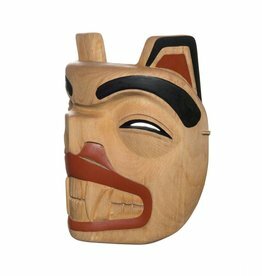 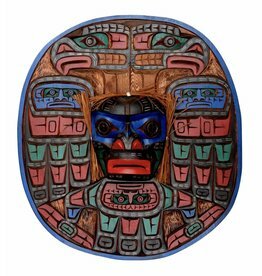 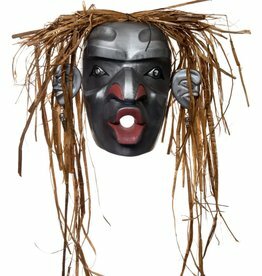 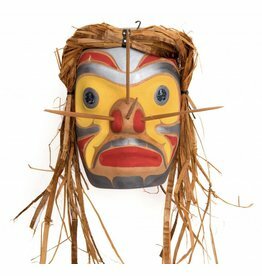 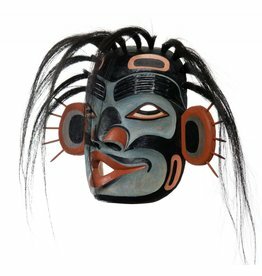 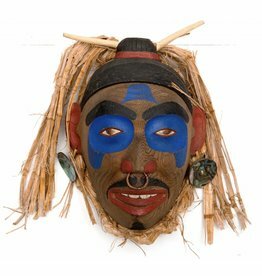 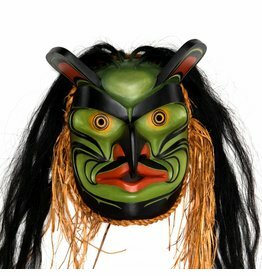 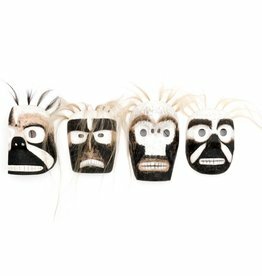 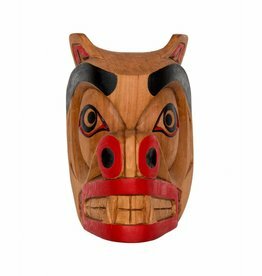 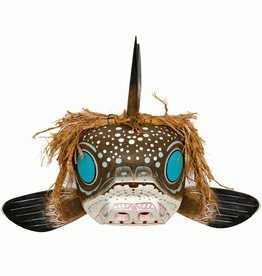 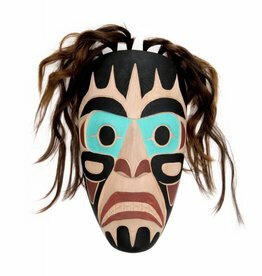 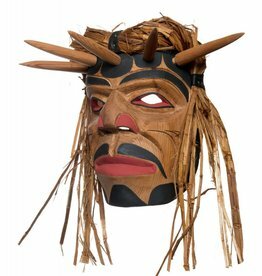 Northwest Coast Masks represent beings from the 4 dimensions of the Native cosmos - the Sky World, the Mortal World, the Undersea World, and the Spirit World. 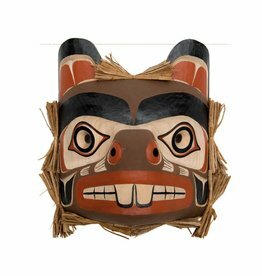 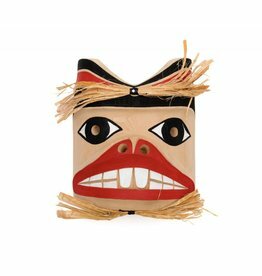 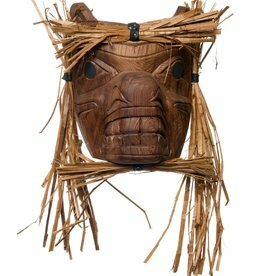 Masks are used in social and spiritual dances at ceremonies, feasts, and potlatches. 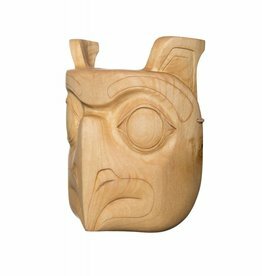 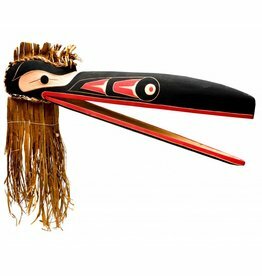 Raven Mask with Cedar Bark by David Louis Jr. (Musqueam). 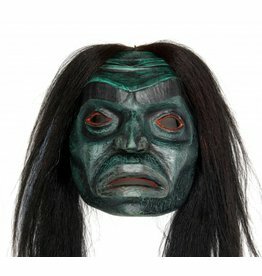 Moon Mask by Jimmy Joseph (Kwakwaka'wakw). 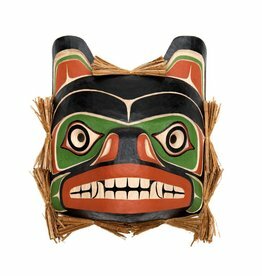 Beaver Mask by Russel Tate (Ditidaht). 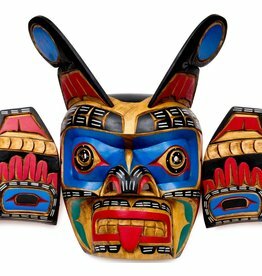 Bear Mask by Rick Wesley (Gitxsan).